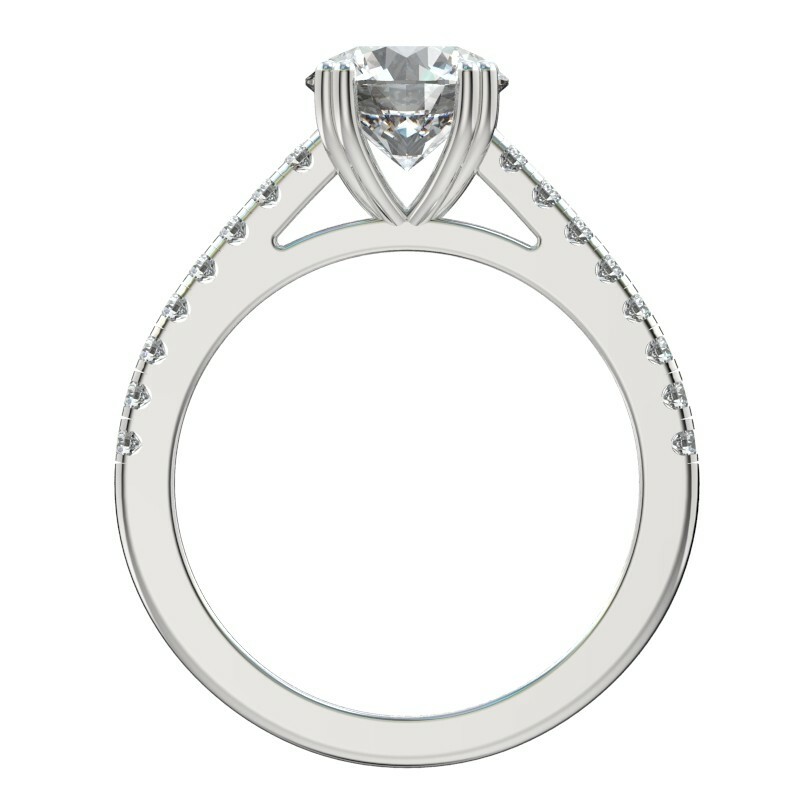 This cathedral design incorporates a unique double prong appearance with shared prong scalloped set diamonds for a perfect custom touch. The setting also allows a wedding band to sit flush with the engagement ring. 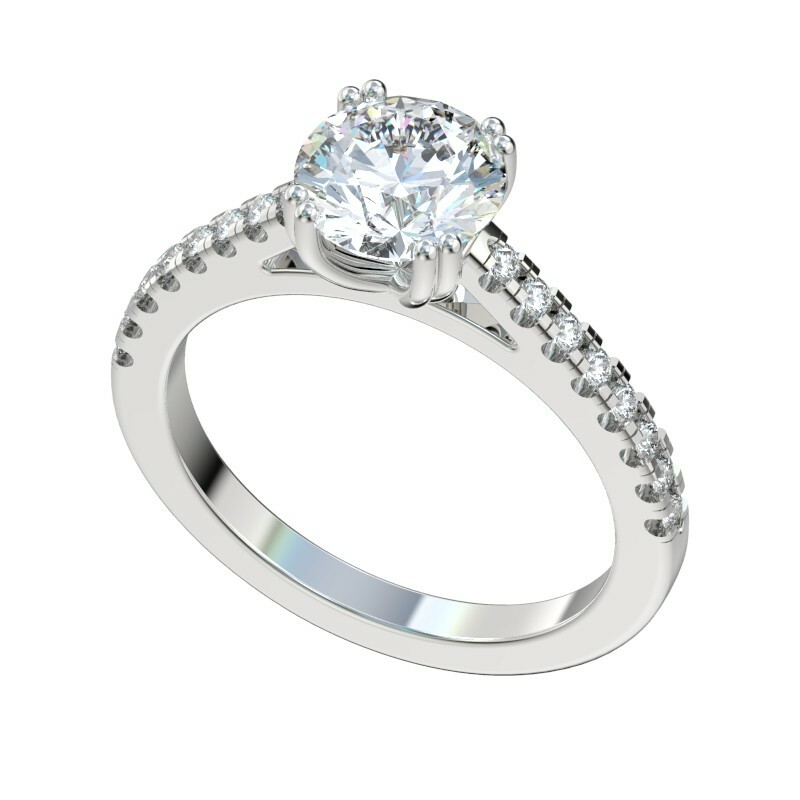 This cathedral design incorporates a unique double prong appearance with shared prong scalloped set diamonds for a perfect custom touch. The setting also allows a wedding band to sit flush with the engagement ring. 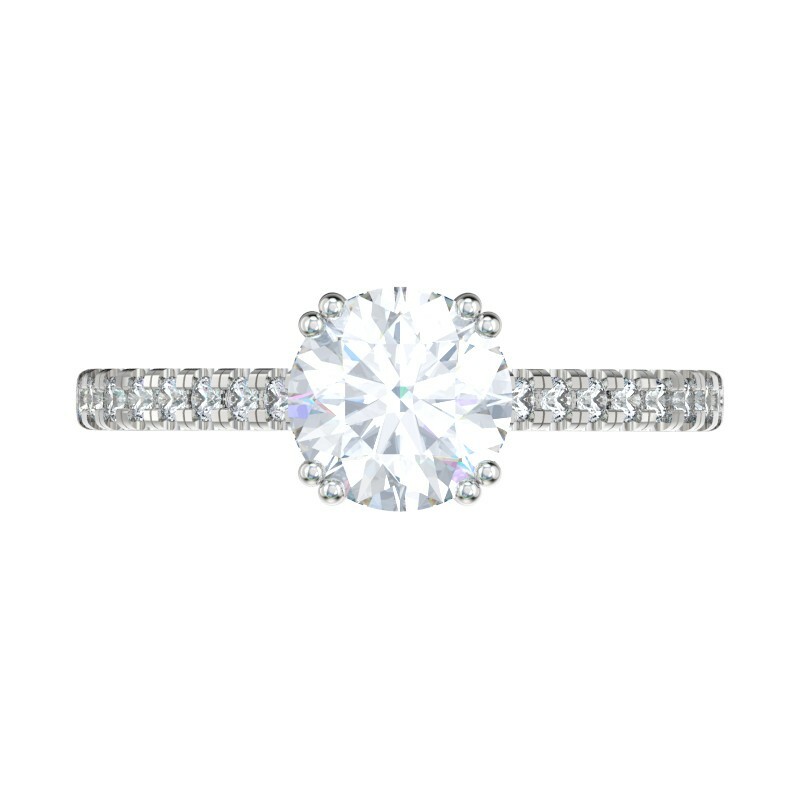 The setting is available in Platinum, White Gold (14K or 18K), Yellow Gold (14K or 18K), Rose Gold (14K) or Palladium and accommodates round diamonds from .25ct and above. All finished rings will ship within 7 - 10 business days of placing your order since each setting is made specifically for your selected diamond. For rush orders, please contact us or include comments in the notes section of the check-out process. If you would like this setting customized for a different diamond shape, please contact us by phone at 312-443-1401 or email [email protected] for pricing. Note: The default ring price is for platinum. Please select from the precious metal and finger size options to update the setting price.